I, sometimes just go crazy about Frozen Yogurt. I feel like I am somewhere else every time I go inside a Red Mango Store it totally calms me. The thought of having a bowl of yogurt with fresh fruits makes my mouth water and can engulf the whole large bowl in minutes. The feeling is just like having a piece of heaven! Frozen yogurt is my stress relieving food and my energizer as well. Yogurt is widely known as one of the healthiest food in the world because of the live and active lactobacilli that is useful for human. It is also reach in calcium. There'd be many reason why it is considered as one of the healthiest but what I like most is according to studies it improves and boost immunity. Plus it is good for people who has lactose intolerance. 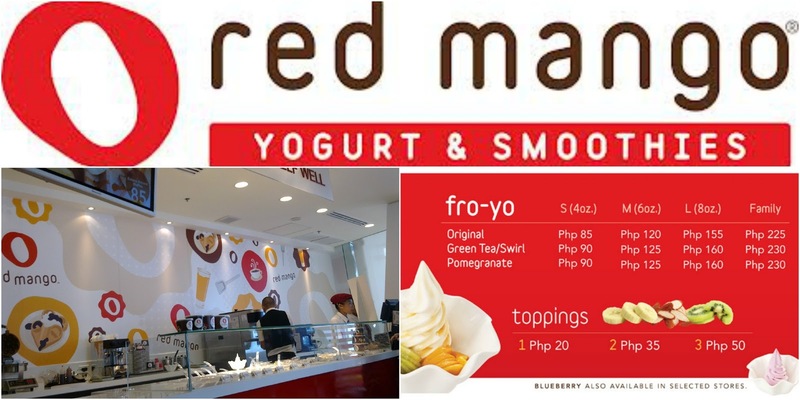 What I personally notice in most Red Mango stores are the spacious. 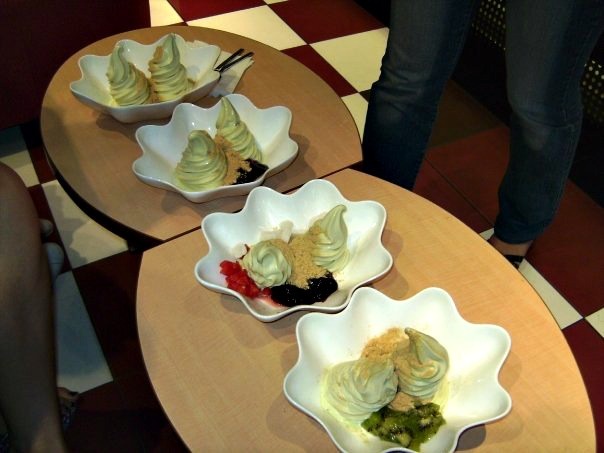 Their counter is relatively spacious for them to display their toppings. The store looks elegant. I love how they designed it. The reputation of the store aside from what they have to offer are the professionalism of their crew and how well they make their customers really happy. That is how I judge a store because for me no matter how good the store is and how powerful their products are it would still goes down on how I was treated when I enter the store. So far, at Red Mango the moment you order the crew are definitely almost everywhere preparing for the orders you made. I am giving them a perfect ten when it comes to their wait time. I never experienced waiting for more than 2 minutes. My only concern is, the store is really quite which I really like but the crew are as quite as their store. Which for me is not really that good though it is not that bad. I think it is always best to talk to your customers. For me, the crowning glory of Red Mango is the original yogurt with fruits as a toppings and you wouldn't have the Red Mango experience if you order with nuts or choco chips as a toppings. I wouldn't recommend that. Any fruit of your choice is totally just fine. I usually go with kiwi, mango or strawberry as their toppings. I simply love it. They also have these so called flavored yogurts but I would stick to the original one. I also added here the Food counter for my health conscious readers in case you want to know.